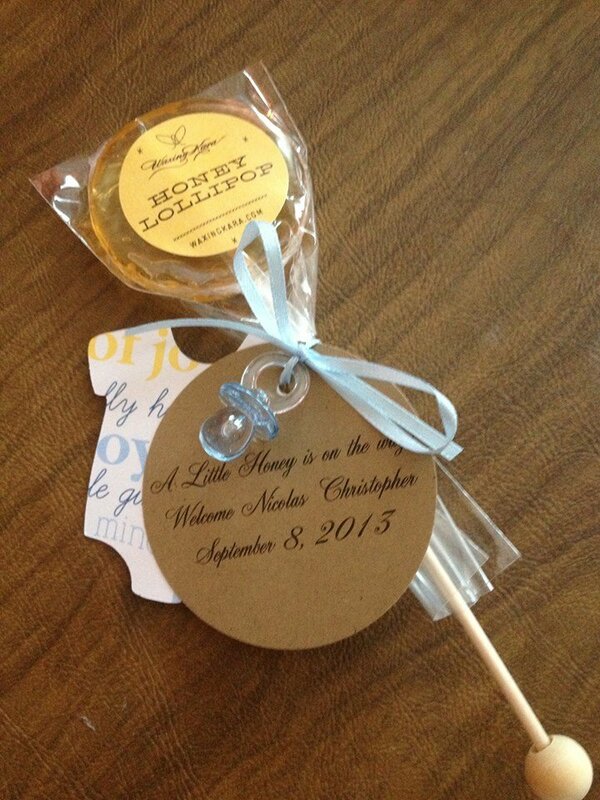 Honey Lollipops by the box are poured by hand, wrapped by hand and labeled by hand. They are available by the box of 50 at a $25 savings. Each honey lollipop measures just shy of 2 inches and weighs just below 1 ounce. 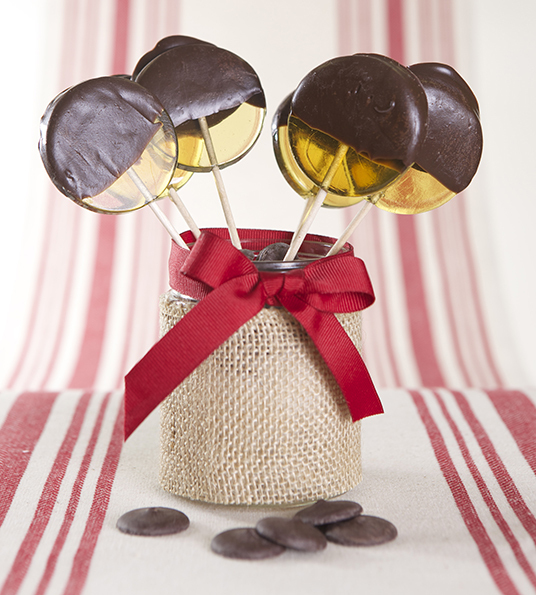 Honey Lollipops by the box are a great way to stock up on sweets for everyone you love. Perfect gifts, party favors, invitation companion, drink garnishes (hot or cold), gift wrap or centerpieces. Special orders for our Dark Chocolate Dipped Lollipops are available December to March each year. These lollipops are absolutely amazing! Thanks Valerie! A friend of mine wrote me last season to tell me that she was so excited when she saw them at your place. :) Thanks for sharing our story!